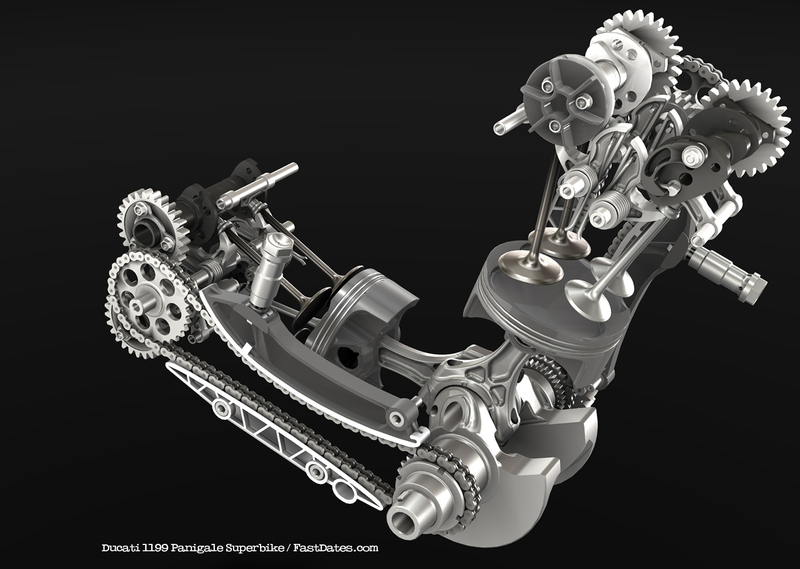 Design of the 1199 SuperQuadro Engine • 1199 Uncompetitive in World Superbike? Teatro Dal Verme, Milano, Italy, 7th November 2011- Ducati has unveiled the long-awaited 1199 Panigale Superbike alongside its entire 2012 range in a stylish Press Conference at the Teatro Dal Verme in Milan, Italy. Setting a new benchmark in the motorcycle industry with theirground-breaking and innovative new Superbike, the Italian manufacturer’s incredible line-up of dream motorcycles then went on to be exhibited from 10-13 November at EICMA 2011, the 69th edition of the Milan International Motorcycle Show. 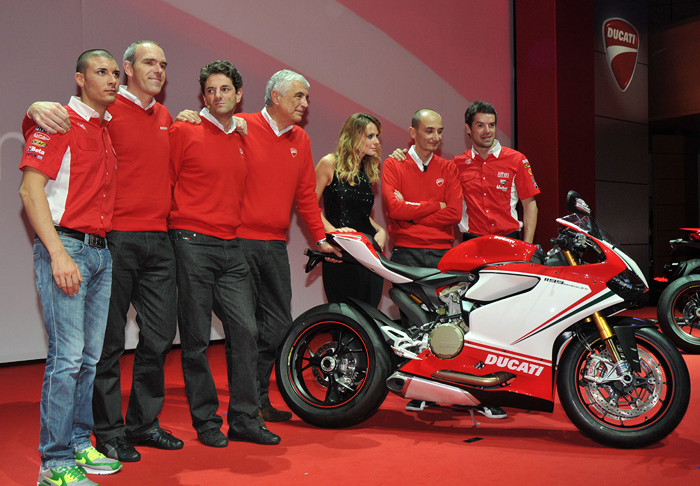 Ducati hosted a private media launch in Milan on Monday of their new 2011 model line featuring the new 1199 Panigale. In the center is Gabriele Del Torchio, President of Ducati Motor Holding, flanked on the far ends by their winning 2011 World Superbike Championship riders with Carlos Checa and Riders’ and Manufacturers’ titles in the 2011 Superstock 1000 FIM Cup with Davide Giugliano. Plus Corse Superbike team manager Ernesto Marinelli and Ducati Motor Holding General Manager, Claudio Domenicali. The impressive theatre presentation of Ducati’s 2012 models also gave Gabriele Del Torchio, President of Ducati Motor Holding, the opportunity to announce the positive business performance of the Bologna-based company. In a market challenged by economy difficulties, Ducati has continued to increase its market share, production volumes and global sales, confirming their solid position and underlining the efficient and well-organized business structure that will now serve the company in the coming years. “We are particularly proud to have created a special ‘Tricolore’ version of this new motorcycle, in the red, white and green of Italy. What better occasion to celebrate the 150th anniversary of our national flag and underline our role and responsibility as ambassadors of the title ‘made in Italy’, than with a product of such style and technical excellence.” Following Mr.Del Torchio’s announcement, Ducati Motor Holding General Manager, Claudio Domenicali, proceeded to release the details of the 2012 models with particular focus on the 1199 Panigale. 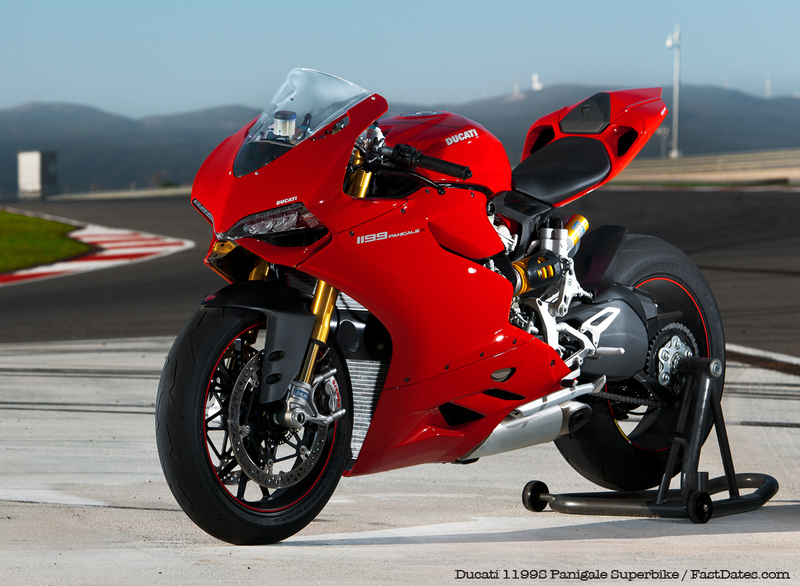 Indeed, the 2012 DucatiSuperbike family marks the official introduction of the groundbreaking 1199 Panigale, 1199 Panigale S and flagship 1199 Panigale S Tricolore and opens a new chapter in the company’s iconic Superbike history. 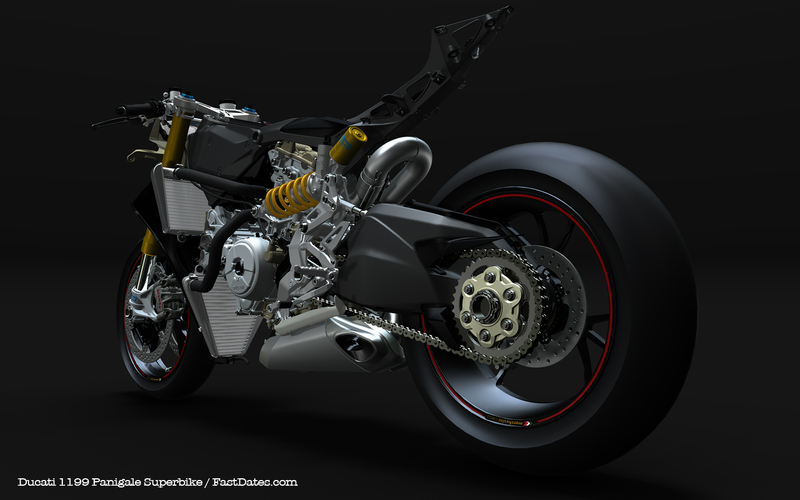 Available early in 2012, Ducati’s new generation Superbike, goes beyond the barriers of motorcycle design and engineering to set the most extreme benchmark ever and the direction for future sport bikes. Developed in the red-hot environment of racing and designed to raise the performance bar to its highest, the 1199 Panigale uses innovative Ducati Corse-derived solutions to make World Championship level technology available to everyone. The most high tech, most powerful twin-cylinder production engine on the planet is now anintegral part of an innovative monocoque chassis that combine to deliver anastonishing 195hp from 164kg (361.5lb) of futuristic Italian thoroughbred. The highest production motorcycle power-to-weight and torque-to-weight ratios in the world are fitting trophies for the incredible results that Ducati have achieved. Bred for the track and trained for the road, priced at $17,995(USD) for the standard version, $22,995(USD) for the “S” version, $23,995(USD) for “S” version with ABS and $27,995(USD) for the Italian heritage-inspired Tricolore version, the new 1199 Panigale is a true revolution of the species destined to influence the entire sportbike environment. With the click of a button, Ducati’s Riding Mode concept delivers performance with enhanced rider confidence by combining seven class-leading technologies. The latest-generation sports ABS system, Ducati Traction Control (DTC), Ducati Electronic Suspension (DES), Ducati Quick-Shift (DQS), Ducati’s new race-derived Engine Brake Control (EBC) and Ride-by-Wire (RbW) are now all programmed into seamless, electronic rider assistance. Even the full color Thin Film Transistor (TFT) display changes to suit the rider’s environment. 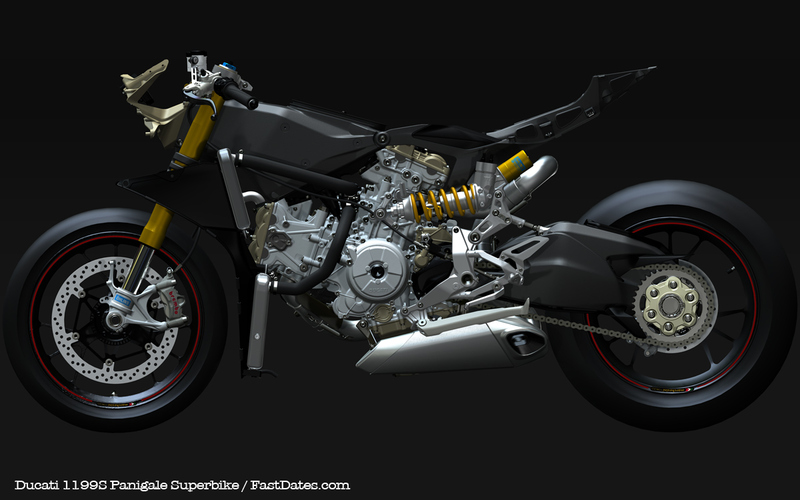 Even more to our liking, shown above, is the Ducati Cose accessorized 1199S stripped down for track duty. The only two options are the $3,499 Termignoni Titanium Racing Exhaust System which ads a 5% power increase / 8 lb weight reduction, bring power up to 205hp and weight down to 358 pounds dry. Plus the $999 Corse Racing Foot Controls. The massive new Pirelli Diabalo Super Corse 200/40x17 rear Supersport slick rear tire. 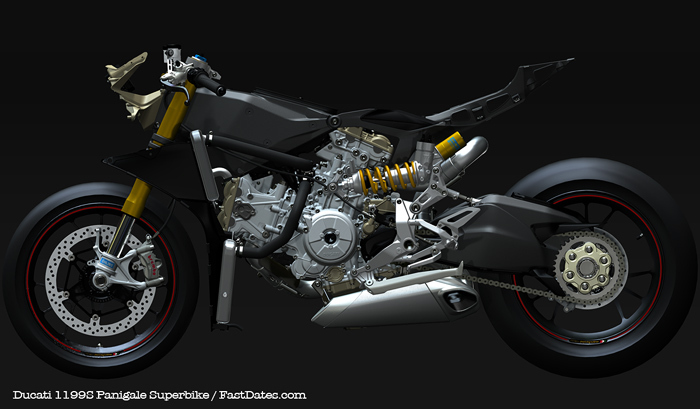 Suprising (or not) this Corse Track Bike deleates the new electronic adjustable suspension found on the new 1199S models. With manual dampening adjustment there is less complication, less wiring, and one less thing to go wrong. Aluminum is now standard for the fuel tank on all the Panigale models. You're looking at production bike that can beat Carlos Checa's World Championship winning190hp 2011 Althea Ducati 1198RS race bike. The press conference for Ducati’s 2012 model range also presented an opportunity for the company to celebrate the winning of the Riders’ and Manufacturer’s titles in the 2011 World Superbike Championship with Carlos Checa and Riders’ and Manufacturers’ titles in the 2011 Superstock 1000 FIM Cup with Davide Giugliano. Both riders rode Team Althea Racing Ducati 1198S's to their respective victories and both bikes will be proudly shown on the Ducati stand at EICMA2011. The entire 2012 Ducati motorcycle range in addition to new accessory and apparel collections will be on show at EICMA 2011 in Milan on stand G64 of hall 18 from 10-13 November. 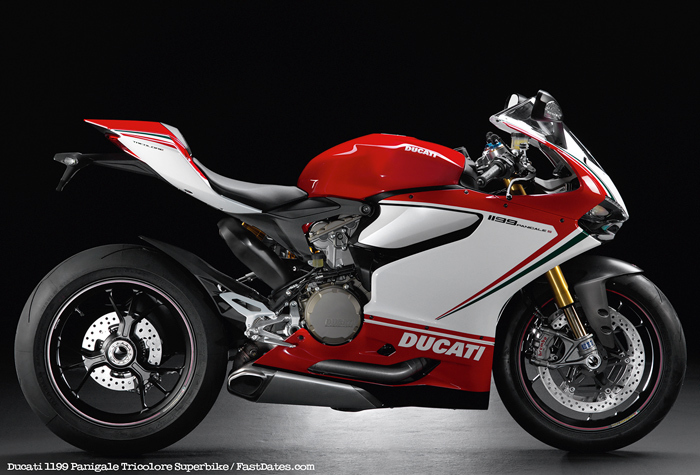 The 2012 Ducati Superbike family marks the official introduction of the ground-breaking 1199 Panigale, 1199 Panigale S and flagship 1199 Panigale S Tricolore and opens a new chapter in the company’s iconic Superbike history. The highly successful 848EVO and new for 2012, 848EVO Corse Special Edition with enhanced electronics, suspension and stunning Ducati Corse livery, complete an incredible range. Ducati’s new generation Superbike, the 1199 Panigale, goes beyond the barriers of motorcycle design and engineering to set the most extreme benchmark ever and the direction for future sport bikes. Developed in the red-hot environment of racing and designed to raise the performance bar to its highest, the 1199 Panigale uses innovative Ducati Corse-derived solutions to make World Championship level technology available to everyone. race-derived Engine Brake Control (EBC) and Ride-by-Wire (RbW) are now all programmed into seamless, electronic rider assistance. Even the full colour Thin Film Transistor (TFT) display changes to suit the rider’s environment. 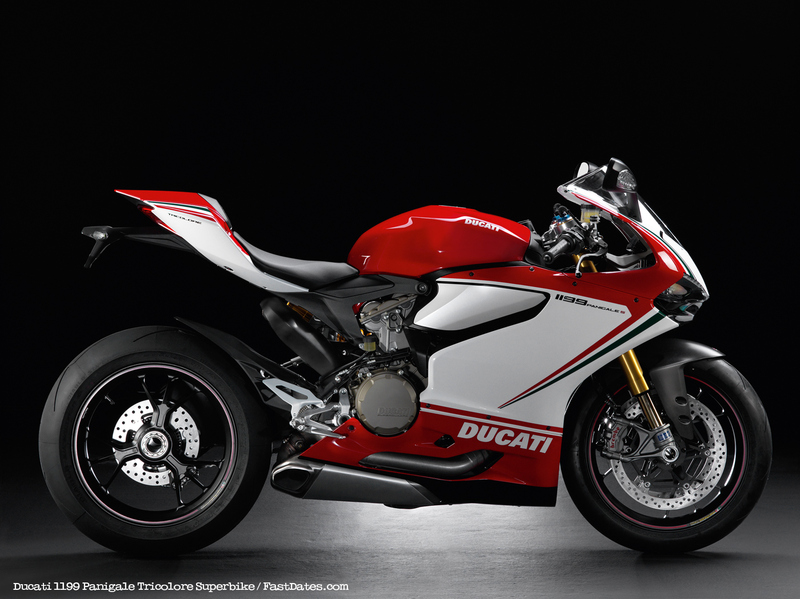 State-of-the-art from the ground-up and melding latest technologies with exciting new family features, the 1199 Panigale is totally “Ducati” in every respect. Its no-compromise approach to sport design and stylish attention to incredibly fine detail presents authentic Italian performance at its purist. Racing is the platform on which Ducati has always challenged and measured itself. It is a discipline for designers and engineers and the bedrock of motivation for a company in which the constant desire for victory has become a way of life. With over 300 World Superbike race wins, more World Championship titles than all other manufacturers together and the passionate driver of innovation in MotoGP, Ducati’s focus on sportbikes is stronger than ever. Ducati now combine the innovative “monocoque” frame solution with the extraordinary new “Superquadro” L-twin engine design and race-derived electronics to produce the champion of all Superbikes. Bred for the track and trained for the road, the new 1199 Panigale is a true revolution of the species destined to influence the entire sportsbike environment. 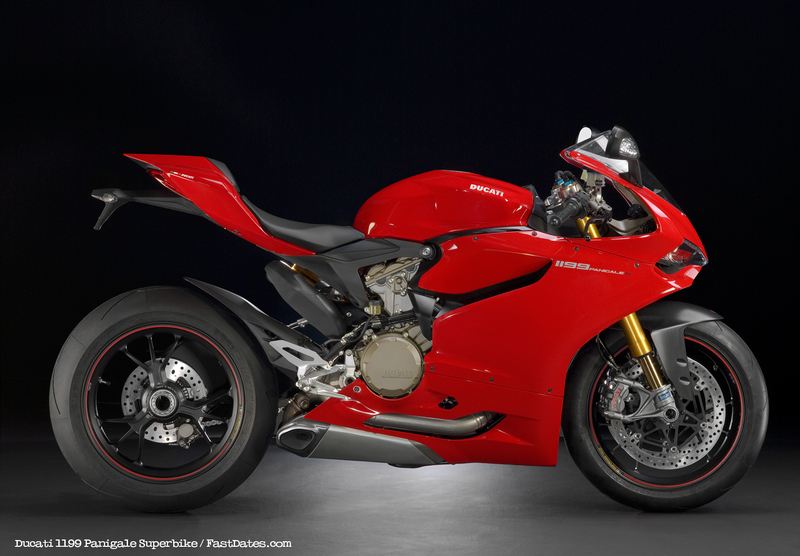 Available early in 2012, the new Superbike will be built in 1199 Panigale, 1199 Panigale S and 1199 Panigale S Tricolore versions. Every generation of Superbike produced at Ducati represents an accurate and historic snap-shot of technology and engineering solutions at that time. Some features like the Trellis frame and under-seat exhaust will remain as legendary milestones in Superbike history, innovative benchmarks qualified by endless imitation. Designers and Engineers of the new generation Superbike were given a “blank canvas” to reach the apparently impossible 1199 Panigale targets of 10kg less weight and 25hp more power. Every detail, every dimension and every design decision has been driven entirely by a zero-compromise brief to create the highest performance Ducati Superbike of all time. The 1199 Panigale now sets the most extreme benchmark ever and its arrival represents one of the most historic moments in Ducati’s incredible Superbike history. 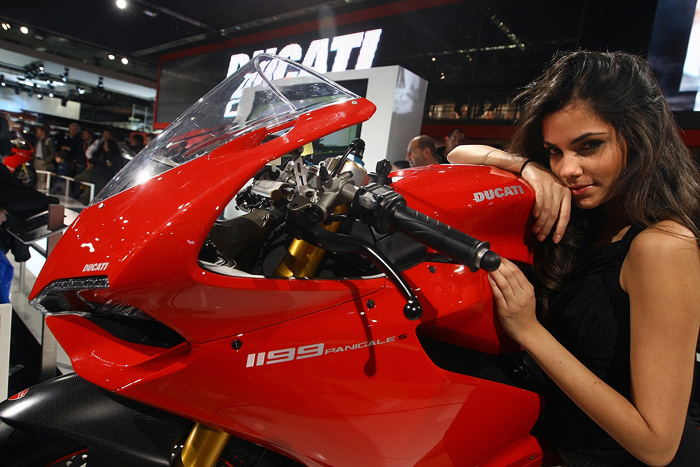 Every last detail of the 1199 Panigale pays tribute to the rich heritage of racing on which Ducati is built. Components that are not only functionally efficient, but also minimalist, essential and beautifully engineered into pieces of automotive art. 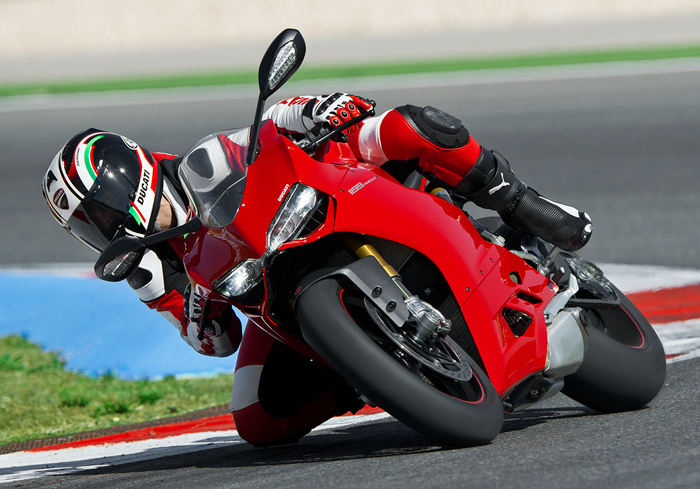 Climb aboard the 1199 Panigale and take hold of the bars and the feeling of pure racing is everywhere. The finely formed top-clamp with weigh-saving hollows and recesses immediately communicates Italian engineering at its very best. Radial brake and clutch pumps, Ducati’s precise switchgear and full Ride-by-Wire twistgrip give a racedriven sense of minimalism further enhanced with the monocoque-integral steering head flowing into the magnesium front sub-frame and Ducati Corse-style instrumentation. Revised rider ergonomics are immediately noticeable from the cockpit with seat-to-handlebar dimension 30mm (1.18in) shorter and bar height 10mm (0.39in) higher and 32mm (1.26in) wider. Even the lightweight, 17 litre (4.5 gal US) aluminium fuel tank is sculpted perfectly to the rider. The horizontal twin headlamps have also become more integrated with the frontal intake ducts and create a true “race face” for the new Superbike. While the 1199 Panigale illuminates with LED positioning and conventional main light, the 1199 Panigale S and Tricolore boast motorcycling’s first ever full LED positioning and main light solutions. Twin rear lights are moulded perfectly around the recessed seat air ducts and illuminate with an attractive light-guide surround effect, enhanced with LED brake lights. Front LED indicators are integrated into the mirror bodies and rear indicators, which are also LED*, are styled with clear lenses. The majority of the frontal air ducts feed the main airbox, while a small splitter also diverts air into the fairing bodywork to ensure efficient cooling for the onboard electronics. The carefully executed shape at the rear of the fairing enables a highly efficient exit from the radiator area, protecting the Superquadro’s power output and further reducing aerodynamic resistance. 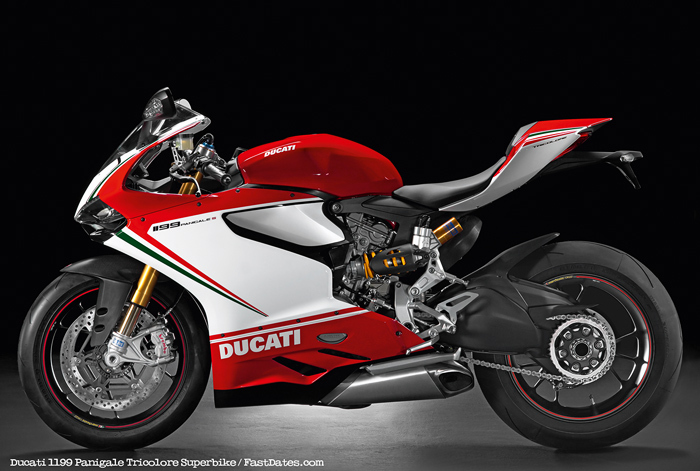 The sleek shape of the seat and tail-piece is now accentuated by the relocation of the exhaust system, further enhancing the aggressive stance of a true Ducati Superbike. The 1199 Panigale’s chassis represents Ducati’s innovative and courageous step forward in motorcycle design, merging multiple parts into one compact and lightweight component, while re-evaluating rider posture with a revised ergonomic triangle. Developed in the super-competitive racing environment, the extremely compact monocoque construction integrates the airbox to become one of the key elements in reducing the Superbike’s overall dry weight by an incredible 10kg (22lb) to a benchmark 164kg (361.5lb). Using the Superquadro engine as a stressed member of the chassis, the short and strong aluminium monocoque is made in die-cast aluminium and is responsible for 5kg (11lb) of the overall weight saving of the new design. The monocoque attaches to the cylinder heads of the new specially designed engine, protruding forward to house the steering head bearings and forming the airbox along the way, which is capped-off and sealed when the 2.9kg (6.3lb) lighter aluminium fuel tank is attached, again using one component to the fulfil the roles of two. 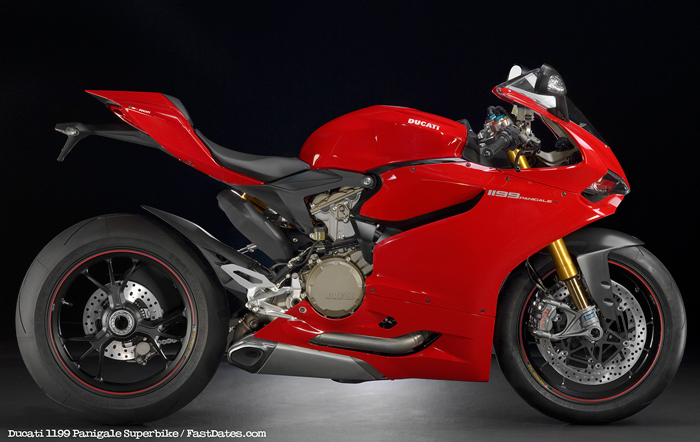 aluminium, single-sided swingarm is 39mm longer than the 1198, contributing to the increased the wheelbase of 1,437mm (56.6in) and weight distribution of the 1199 Panigale from 50/50 to 52% front and 48% rear with average-size rider onboard. these high front and rear sub-frame areas substantially contributes to overall vehicle agility. Incorporating Ducati’s Riding Mode technology into the Superbike for the first time, the 1199 Panigale S and Tricolore are fully equipped with front and rear Ducati Electronic Suspension (DES) system by Öhlins. The 43mm Öhlins NIX30 forks are adjustable electronically in compression and rebound damping, while spring pre-load is manual. An adjustable steering damper completes the full Öhlins package. The Öhlins TTX36 rear unit features twin tube technology to offer totally separate damping adjustment in compression and rebound and minimise the risk of cavitation under extreme conditions. The unit is fully adjustable electronically in compression and rebound damping, while spring pre-load is manual. The electronic suspension adjustment can be made either by using the pre-set Riding Modes, which have been developed by Ducati test riders and racers, or in independent mode, which allows riders to use their own personal and saveable settings. Digital damping adjustments send signals that execute the mechanical adjustment via electronic actuators mounted in the suspension units. The 1199 Panigale uses brand new, incredibly lightweight, 50mm pressurised Marzocchi usd forks that feature hard-anodised aluminium sliders. Proven by Marzocchi in the most severe off-road environments, the new aluminium fork assembly uses a pressurised damping system that also enables a reduction in oil capacity and, therefore, also weight. They represent a cutting-edge solution for the 1199 Panigale, saving a further 1kg (2.2lb) on a project which demanded innovation to achieve the extreme weight-saving targets set by designers. Fully adjustable in spring pre-load and compression and rebound damping, the matte champagne coloured fork bodies house low-friction, hard-anodised black aluminium sliders and forged aluminium fork bottoms with beautifully formed radial calliper mountings. A fully adjustable Sachs rear suspension unit completes the package. On all versions of the 1199 Panigale, the fork leg centres are set to World Superbike-style widths, enabling uncompromised air-flow to the brake discs for optimum cooling. The ‘S’ versions of the 1199 Panigale are equipped with Öhlins suspension that features the innovative Ducati Electronic Suspension (DES). The new technology enables front and rear rebound and compression damping adjustments to be controlled automatically by using the pre-set Riding Modes, which have been developed by Ducati test riders and racers, or in independent mode, allowing riders to use their own personal and saveable settings. Digital damping adjustments made via the instrumentation send signals that execute the mechanical adjustment via electronic actuators mounted inside the suspension units. For its new generation of Superbike, Ducati ensured the selection of an equally new braking system. The 1199 Panigale is exclusively equipped with new generation Brembo Monobloc M50 callipers, presenting a super-compact design that reduces their total unsprung weight by a further 0.5kg. Machined from a single piece of alloy, the callipers achieve a higher rigidity and resistance to distortion during extreme braking. The resulting increase in hydraulic efficiency not only delivers incredible braking power, but also provides an enhanced and precise 'feel' at the brake lever. The twin Monobloc M50 callipers each have four 30mm pistons that grip 330mm discs to achieve spectacular braking performance. Sport and enhanced in Wet Riding Modes. Remaining almost undetectable at the lever, these advanced features enable shorter braking distances by optimising brake force distribution for superior vehicle stability. The advanced ABS, which is optional on the 1199 Panigale and 1199 Panigale S and standard equipment on the 1199 Panigale S Tricolore, can also be deactivated via the instrumentation control panel.. 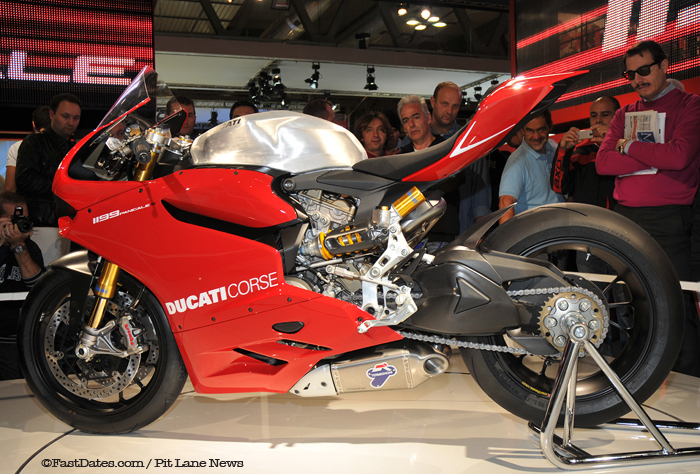 The 1199 Panigale rolls on brand new 10-spoke wheels in 3.5in front rim width and 6.00in rear. Enabling an even faster change of direction and enhanced acceleration and braking performances, the new blackfinished wheels provide a 0.5kg (1.1lb) weight-saving over previous components. The 1199 Panigale S and 1199 Panigale S Tricolore are equipped with stylishly designed, triple 3-spoke, forged and machined wheels by Marchesini. Finished in black with signature red pin-striping, the super lightweight wheels represent a 0.4kg (0.88lb) weight-saving over previous components. All 1199 Panigale versions roll on the new Pirelli Diablo Supercorsa SP tyres, road-going race replicas of the official World Superstock 1000 tyres. 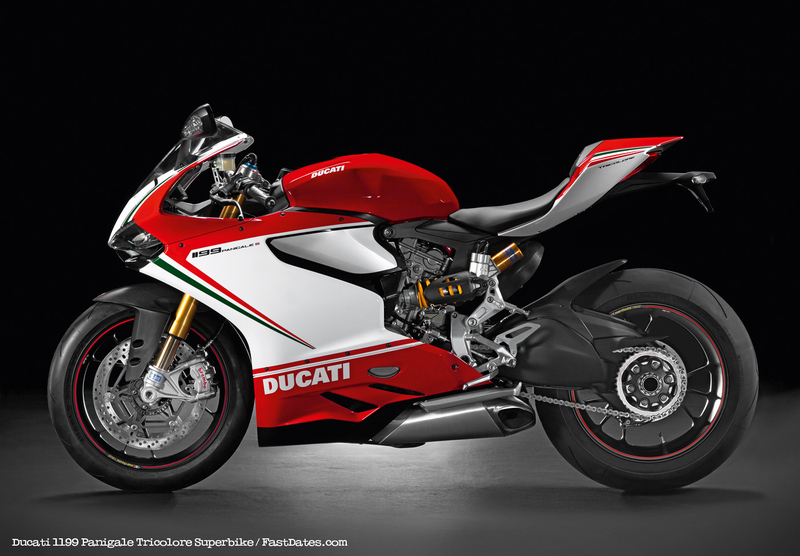 While the front uses a 120/70 ZR17, the 200/55 x ZR17 represents the widest rear tyre ever fitted to a production Ducati Superbike. Designed for precise line-holding and corner trajectory, the rear 200/55 x ZR17 effectively increases the contact patch area and speed of lean by combining the 200mm width with a higher profile. Pirelli and Ducati engineers worked together to create this ideal "match" between front and rear profiles and the results generate incredible "feel" and directional agility from the new monocoque chassis technology during cornerentry. The structures and compounds are derived directly from Pirelli’s experience in World Superbike competition. They present a complex carcass designed for stiffness under heavy braking and shoulder areas that maximise contact patch, further enhanced with a bi-compound tread laced with new polymers to generate rapid warm-up and constant grip. The 1199 Panigale is now the focal point of the latest innovative electronics that Ducati has developed and proven on the race track. Appropriate, therefore, that they are combined, managed and displayed on full TFT technology instrumentation, first introduced to the motorcycle industry on the Ducati Diavel and now super-enhanced on the 1199 Panigale. 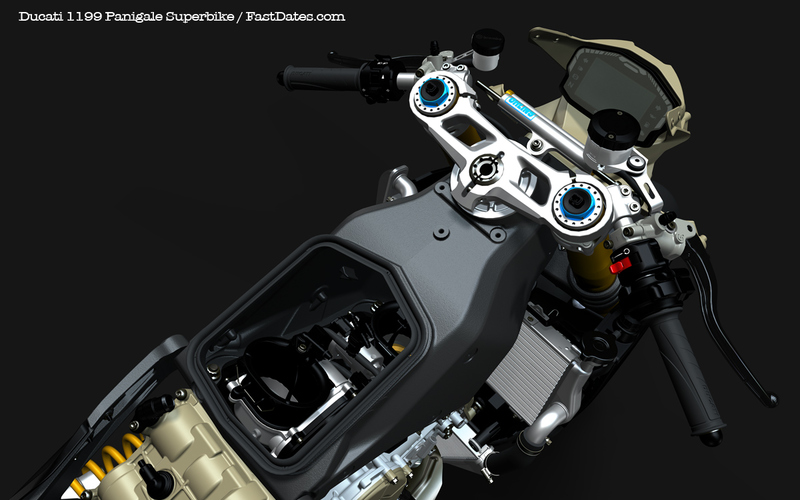 The state-of-the-art electronics package features an enhanced version of the Ducati Data Analyser (DDA+), and Ducati Riding Modes, which now fully incorporate ABS, Ducati Electronic Suspension (DES), Ducati Traction Control (DTC), Ducati Quick Shift (DQS), Engine Brake Control (EBC), full Ride-by-Wire (RbW) and the Thin Film Transistor instrumentation (TFT). 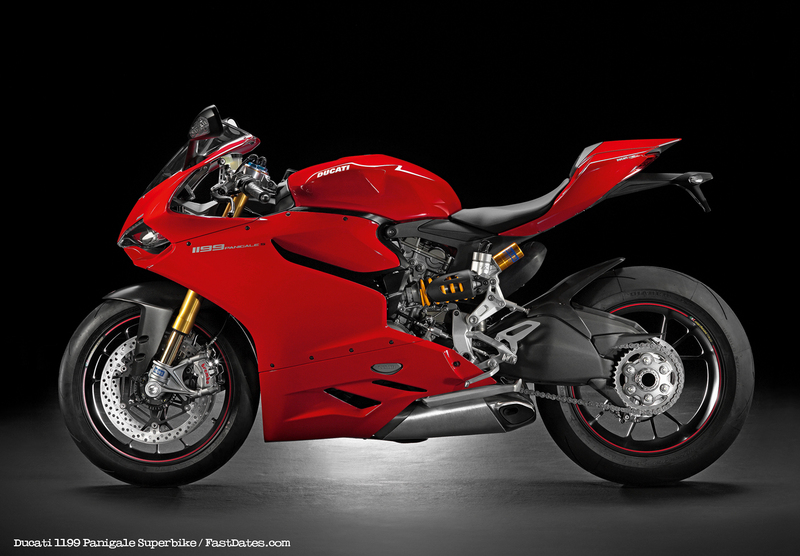 The 1199 Panigale inherits a more compact version of its Ducati Quick Shift (DQS), first introduced on the 1198 SP and now increases its formidable fire power with a sport-intended, adjustable ABS system and the debut of Ducati’s Engine Brake Control system (EBC), designed to enhance stability during de-acceleration. throttle opening to maintain optimum grip. Sport Riding Mode: The Sport Riding Mode provides the road or track rider with 195hp, delivered with a “smooth” RbW throttle response and, on the ‘S’ version, a sport-oriented suspension set-up. Sport mode slightly increases the DTC system intervention, provides a sport-oriented both EBC and front and rear ABS with incresed antirear- lift-up. character and background colours in low-light conditions. automatically moves down from its normal 10,500 lower level to 6,000rpm. When the running-in period is completed, the orange section automatically returns to its 10,500-11,500rpm range, although during each engine warm-up, it is programmed to start from 8,000rpm, increasing to 9,000 and finally to its normal 10,500rpm position when the engine reaches normal working temperature. Along the bottom of the screen from left to right, is the current status and/or setting of Riding Mode, ABS (if equipped), DTC, DQS and EBC and on the right of the screen, an easy-to-read gear indicator displaying from N to 6 with the top left corner of the screen displaying the time. switchgear. Actual and average fuel consumption, average speed, journey time and air temperature appear on the right info frame with the scroll-down button. In “Race” Riding Mode, the display automatically reconfigures, moving the lesser important vehicle speed to the lower left info frame and making way for the latest lap time to be displayed large in the centre of the screen. When actuated, the lap time facility is triggered manually by using the flasher button on the switchgear or automatically with the new GPS equipped DDA+. 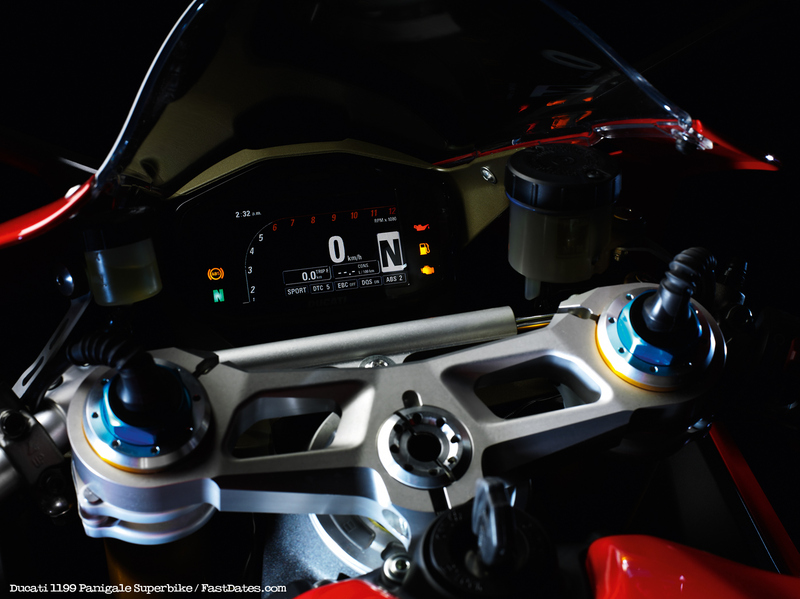 When the 1199 Panigale is stationary, the instrumentation is also used as a user-friendly control panel to personalise ABS, EBC, DES, DTC, DQS, and RbW settings within each Riding Mode before saving. In addition to listing the last 30 recorded lap times, each time also shows the lap number and the maximum speed and maximum rpm recorded during that lap. Fixed icons on the left of the main screen from top to bottom show warnings for left turn signal, main beam, ABS-off and neutral, while from top to bottom on the right of the display are turn signal right, oil pressure, fuel reserve and engine electronics. Countdown icons are programmed to appear on the screen to advise of upcoming scheduled maintenance. A strip of red lights rising on the right and left outer edges and across the top of the instrumentation illuminate incrementally upwards to warn of over-rev. The first 25% at 10,500rpm, 50% at 10,700rpm, 75% at 10,900rpm and 100% as both strips meet and the top centre bar starts to flash. Below the top, centre over-rev bar is a second bar that illuminates in orange during DTC interaction. Ducati’s highly successful DTC system has been further refined for the 1199 Panigale and fully integrated into the electronics package of all versions. It uses the same software logic developed and used by Ducati Corse for their MotoGP and World Superbike motorcycles and offers a choice of eight settings developed by a team of professional test riders and racers. highly competent riders. The DTC system status and level is constantly displayed on the instrumentation, reminding the rider of the current interaction level if the Riding Modes is changed. When the level that best suits the combination of road or track conditions and riding style has been selected and the DTC system activated, front and rear wheel sensors compare speed differential to sense when rear traction is being broken (wheel-spin). DTC then decides the best combination of two different types of instant electronic adjustment, calculated with data supplied from multiple sources. The first 'soft' stage of system interaction is executed by high speed software that makes instant electronic adjustment to the ignition timing, administering varying amounts of ignition retardation to reduce the engine's torque. If the DTC software detects that the first 'soft' stage of system interaction is inadequate to control the wheel-spin, it continues to administer ignition retardation and, in addition, instructs the engine ECU to initiate a pattern of constantly increasing injection cuts until, if necessary, full injection cut. During both stages of system interaction, an orange warning light, which is visible in the rider’s peripheral vision and situated across the top of the instrumentation, illuminates to signify that DTC has is being used. As soon as the system recognises the gradual return of equal wheel speeds, it incrementally re-establishes normal power delivery. This seamless interaction is key to the super-smooth operation of the system. The Ducati Quick Shift (DQS) system, first used on the 2011 1198 SP, was the first electronic quick-shift supplied as original equipment on a production Ducati. 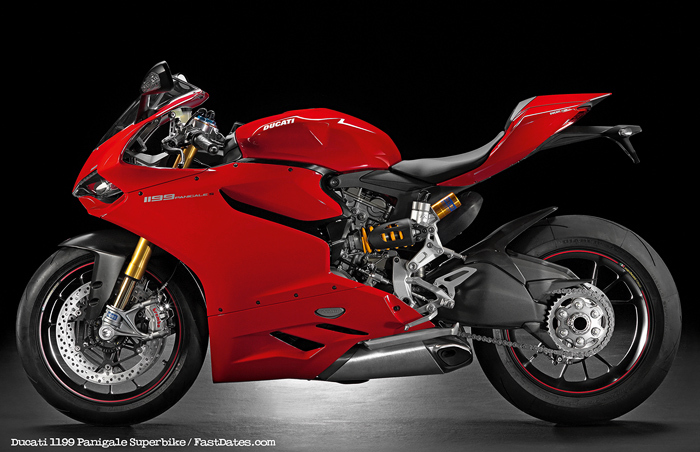 The 1199 Panigale takes that same technology and makes it even more compact. Normally used specifically for racing, the system allows the rider to keep the throttle open when changing-up through the gearbox, helping to save vital fractions of a second in the pursuit of faster lap-times. The system not only saves time when changing gear, but also enables the possibility of uninterrupted air flow through the throttle bodies throughout the upward gear-changing process. The system consists of a micro-switch built into the linkage of the gear change lever, which when actuated in the direction of selecting a higher gear, sends a signal to the main ECU. The ECU instantly understands which gear the motorcycle is in by calculating the rpm and vehicle speed and then reads the amount of throttle opening before applying a pre-programmed cut in fuel injection and ignition measured in milliseconds. This spilt-second electronic interruption in drive is programmed precisely to allow the next gear to be selected without having to actuate the clutch or close the throttle. 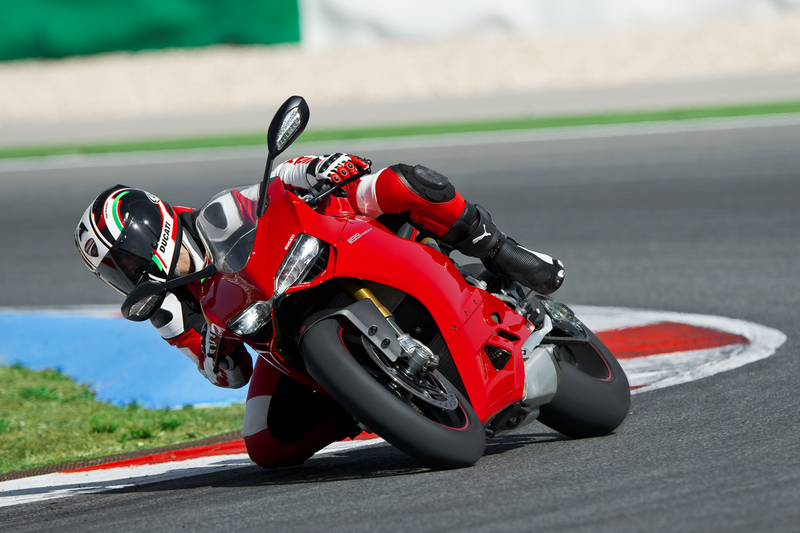 As the system only functions for amatter of milliseconds, the 1199 Panigale can still be ridden using a normal gear-changing style. Ducati’s latest electronic introduction to a road-going production motorcycle is its “Engine Brake Control” (EBC). The system was developed by Ducati Corse to help riders optimise vehicle stability under extreme corner entry conditions in MotoGP and World Superbike by equalising the positive and negative forces of torque subjected to the rear tyre under severe engine-braking conditions. EBC monitors throttle position, gear selected and crankshaft de-acceleration rate under heavy braking and administers precise RbW throttle openings to balance the torque forces acting on the tyre. EBC has a three level operating system accessible from the 1199 Panigale’s instrumentation and is integrated automatically into its three RidingModes to provide an additional and highly effective rider aid. Ducati’s latest engine, the Superquadro, goes beyond the barriers of engineering to enable the 1199 Panigale. Its no-compromise approach to design, combined with Ducati’s Italian innovation has now set the most extreme benchmark ever and stands as the latest milestone in Ducati’s long and iconic history of Superbike engines. 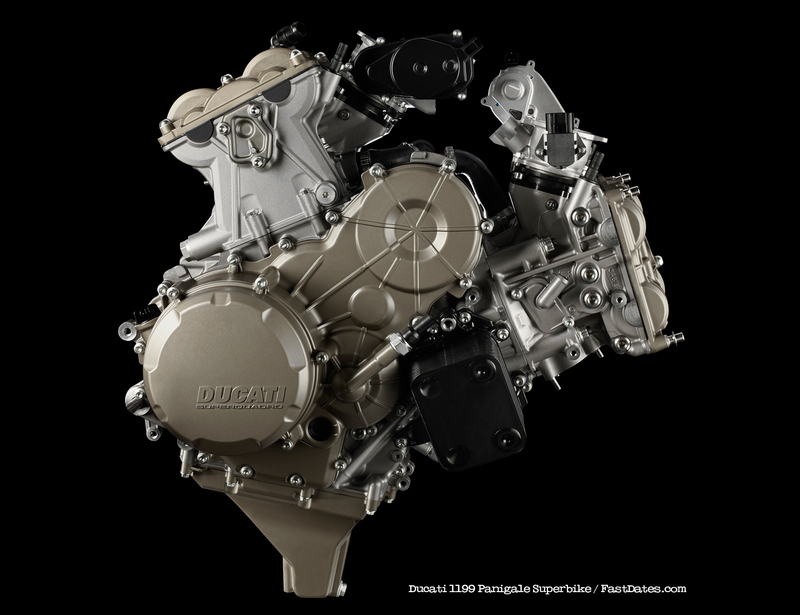 Ducati engineers were given a near impossible design brief to create the new generation Superbike engine for the Ducati 1199 Panigale. Increase power, torque and user-friendliness and reduce overall vehicle weight and scheduled maintenance costs seemed impossible tasks, but given a “blank canvas” to create the new power-plant and encouraged to think outside-of-the-box to achieve the unachievable, engineers have finally ticked all the boxes. The innovative Superquadro engine, so called because of its massively over-square bore and stroke ratio, has increased power to an absolute production twin-cylinder milestone of 195hp and torque to 98.1 lb-ft (13.5kgm) with user-friendly Riding Modes that deliver that power appropriate to the rider’s style and environment. Its construction has enabled a radical reduction in overall vehicle weight and, further identifying Ducati’s constant pursuit of performance perfection, major services have been extended to 24,000km (15,000 miles). further forwards for improved front / rear weight distribution in addition to perfectly positioning the cylinder head attachment points for the 1199 Panigale’s monocoque frame. The crankcases, which are vacuum die-cast using Vacural® technology to ensure optimal weight saving, consistent wall thickness and increased strength, also incorporate the outer water-jacket of the “cylinder”, eliminating the jointing face that used to exist at the base of the cylinders. Instead, the Superquadro has separate nikasil-coated aluminium “wet-liners” inserted into the tops of the crankcase apertures. This design enables secure fixing of the cylinder head directly to the crankcase, improved sealing and enhanced heat dissipation from the thin cylinder-liners directly into the surrounding coolant. the internal “breathing” of the engine. 1.84:1 effectively increases rpm with the ultra-short stroke of the crankshaft and increases the cylinder area to enable increased valves diameters. Inlet valves have increased from 43.5 to 46.8mm (1.71-1.84in) and exhaust valves from 34.5 to 38.2mm (1.35-1.5in). The race-derived Superquadro pistons have a distinctive double-ribbed undercrown to achieve high strength and reduced friction by using minimal piston wall surface area. Using technology developed by Ducati Corse, the design enables reliable operation of the 112mm diameter pistons when performing at high rpm. 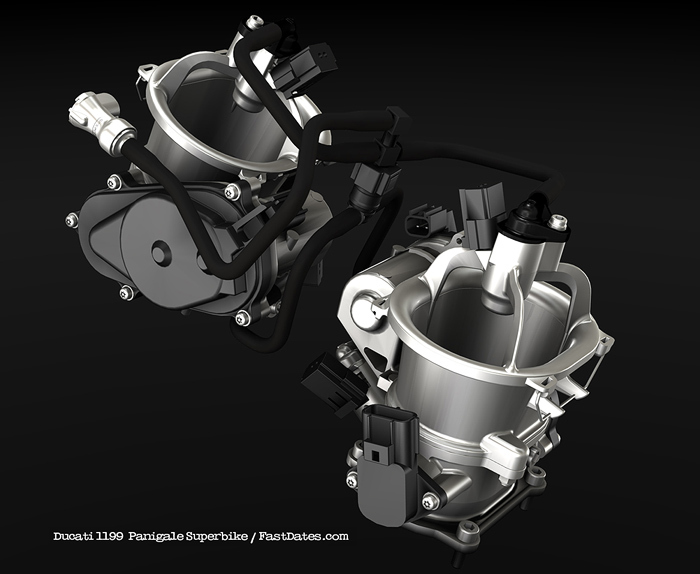 The improved volumetric efficiency of the increased inlet valve diameters is further capitalised on by increasing the oval throttle body dimensions from an equivalent diameter of 63.9 to a massive and highflowing 67.5mm (2.66in). The Ride-by-Wire throttle bodies feed air across twin injectors per cylinder, one positioned below the butterfly for enhanced flexibility and one above for outright power. With such enhanced “breathing”, the challenge for the Superquadro’s Design Engineers was to program performance-optimised fuel mapping for a smoother cycle-to-cycle engine operation, without compromising emissions. To achieve this, Ducati introduced a secondary air system that completes the oxidisation of unburned hydrocarbons and effectively reduces HC and CO levels. The system is activated when the engine ECU recognises specific conditions in the engine’s operation via the lambda and throttle opening sensors. It then opens a valve enabling a flow of clean air from the main airbox to a reed valve situated in each cylinder head, which enables one-way flow into an air gallery exiting into the exhaust port close to the exhaust valve. Entering the hottest point of the exhaust gasses, the fresh charge of air enhances the burn environment, eliminating any unburned fuel that escapes during the exhaust cycle under certain conditions. Desmo dependent. Never before has Ducati's unique Desmodromic system been so vitally important. With the high engine speeds at which the Superquadro operates combined with such incredibly large valves, it would be impossible for the valve’s rocker-arm to follow the steep closure profile of the cam lobe using normal valve closure springs. The Desmo system actuates valve closure mechanically with the same method and accuracy as it opens, enabling steep cam profiles, radical cam timings, large valves and high operating speeds. This system is used on every single Ducati motorcycle and is constantly proven on Ducati Corse’s World Superbikes and Desmosedici MotoGP bikes. 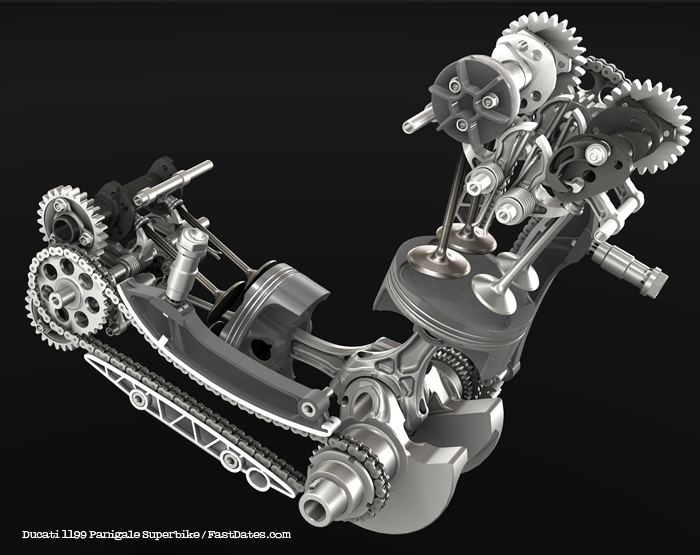 Controlling such large valves with the precise Desmodromic system also led engineers to replace the original belt-drive system, used since the introduction of the Ducati Pantah in 1979, with a combined chain and gear-drive arrangement. The conventional bush-type chain runs from the crankshaft to the cylinder head where a single sprocket positioned between inlet and exhaust camshafts, is attached back-to-back to a gear wheel mounted on its own short, dedicated shaft. The attached gear meshes directly with gears on the ends of both the inlet and exhaust camshafts, which are also designed with +/- position adjustment for ultraprecise cam-calibration. The cam chain, therefore, provides highly efficient point-to-point drive route and, tensioned automatically, provides continuous reliability, further reducing the cost of routine maintenance. On the end of each exhaust cam drive gear is a centrifugal flyweight which retracts at speeds below tickover to rotate a “protrusion” from the concentric section of the cam, thus creating sufficient valve lift to act as a de-compressor. This ingenious device enables the Superquadro engine to be started easily without using a larger battery and starter motor, which has reduced overall vehicle weight by approximately 3.3kg (7.3lb). When the engine starts and the camshafts begin to rotate at tick-over speed, the centrifugal flyweight flicks out, retracting the “protrusion” back into the cam and allowing complete valve closure for full compression. This innovative feature further underlines the lengths to which designers and engineers have worked together in the single-minded pursuit of weight-saving. reduces pressure on the friction plates, enabling a true racing “slipper” action, reducing the destabilizing effect of the rear-end under aggressive down-shifting. DQS, EBC and RbW combined into the Ducati Riding Modes. Available is optional ABS Anto-Lock Brakes. forks with adjustable Öhlins steering damper and an Öhlins electronic TTX suspension unit on the rear. In addition, the model rolls on super lightweight forged and machined Marchesini wheels, has a carbon fibre front mudguard and the motorcycling world’s first ever full LED lighting. The “S” model is supplied also with an “Aero kit”, which consists of two lateral attachments for the top section of the fairing, designed to further enhance the machine’s aerodynamic penetration and reduce its drag coefficient. The 1199 Panigale S adds DES to the full electronics fire-power of ABS (optional) DTC, DQS, EBC and RbW to provide the Ducati Riding Modes. GPS lap time function as well as a titanium racing muffler kit* by Ducati Performance. The Ducati Data Analyser (DDA) consists of a software download, which is also now available for Mac, and a USB-ready data retrieval card and evaluates the performances of the bike and its rider by graphically presenting specific channels of information. DDA+ is the latest generation of the system and introduces a GPS function that automatically records laptimes every time the 1199 Panigale crosses a circuit start/finish line. As the rider crosses start and finish line and presses the lights flasher button, the innovative system logs the coordinates of that position and then automatically logs each lap time as the motorcycle completes subsequent laps. 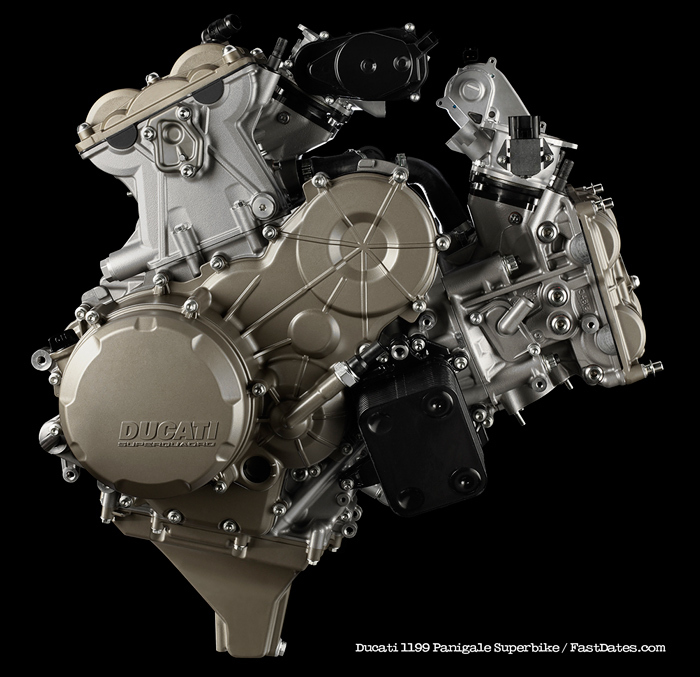 DDA+ is fitted as standard equipment on the Tricolore version and available for the 1198 Panigale and Panigale S as a plug-and-play accessory by Ducati Performance. An essential piece of equipment for the circuit, DDA records numerous channels of data including throttle opening, vehicle speed, engine rpm, gear selected, engine temperature, distance travelled, laps and lap times. An additional channel of information is also dedicated to recording the DTC index which can then be viewed as a graphic trace indicating the amount of DTC interaction during wheel-spin. At the end of a ride or track session, data can be downloaded ready to compare, analyse and get an inside view of the performance of the rider and motorcycle.